Bead with smooth surface for attaching a pendant. 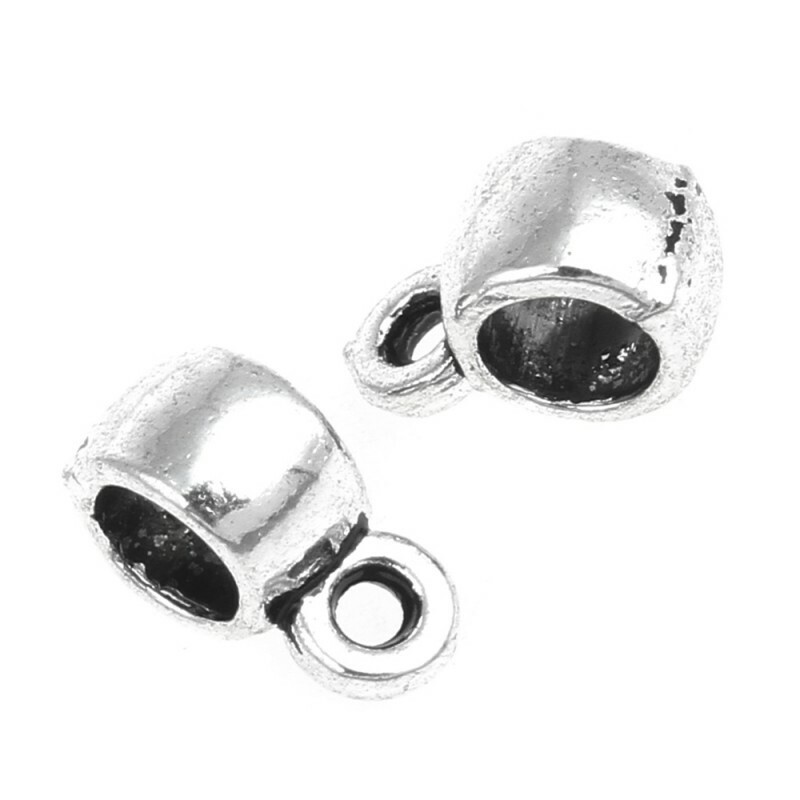 This is a bead, made with a zinc alloy in antique silver color, with smooth and polished surface, which serves to couple it a decorative pendant. This bail measures 4 mm x 9 mm x 4 mm. 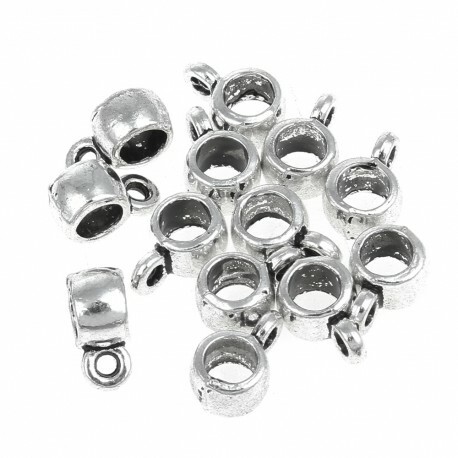 It has a central hole that measures 4.5 mm diameter and a hole for a ring that measures 1.5 mm in diameter. Packaging: bag of 20 grams with about 50 pieces.